Art Caplan is a big man with charisma. The mainstream media considers him to be America's bioethicist. Caplan is more than willing to pontificate on any and all subjects related to health care. I cringe inwardly when I see his name in the news. Hence it was with great trepidation that I read his views on Brittany Maynard. Maynard's story has gone viral. I assume most people have read about Maynard but I will briefly mention the highlights. Maynard is 29 years old. She is an attractive woman, recently married, when she started to experience severe head aches. She was subsequently diagnosed with an aggressive and lethal type of cancer. There is no question her condition is terminal. Her stated desire is to die with dignity. She wants to control the end of her life and like many she wants to die in her own home. This desire led her to move from California to Oregon where assisted suicide is legal. She plans to kill herself on November 1. Over the last few decades people have made similar claims. Most people who make such proclamations do not follow through with their desire to commit suicide. Two things make Maynard different. First, for people such as myself opposed to assisted suicide she is in Caplan's words "the new, self-proclaimed face for the right to die". Caplan goes on to note that Maynard "is partnering with the old warhorse non profit Compassion and Choices". Maynard is the perfect choice for Compassion and Choices to partner with to use Caplan word. I would sourly note she is the perfect person for Compassion and Choices to exploit. 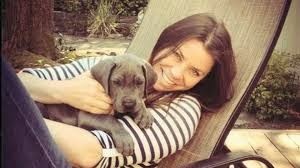 Second, Maynard is not different from myself and many others I know who are opposed to assisted suicide. I am what Syracuse University likes to call a public intellectual. I am also an activist in the sense I am on the board of Not Dead Yet, a grass roots organization that vigorously opposes assisted suicide. Thus Maynard and I share one thing in common--we are both activists but on the opposite side of the fence. What makes Maynard different is the slick packaging of her life into a tear jerker like framework. She is unquestionably picture perfect for Compassion and Choices. The emotional manipulation via imagery involved is over the top. It is a dodge, a shell game. Replace fact with emotion. Maynard's role is to incite sympathy without thought. What could be a worse tragedy? A slender young woman in a gorgeous wedding dress holding hands with her dashing husband. But this is not enough. Yes there is more! We also get to see her with a broad smile sitting in a comfortable chair holding a puppy. Not just any puppy but what looks to be a labrador retriever--the most popular dog in America. The not so subtle leap of logic is that she will never conceive or give birth to a child. This sort of imagery is designed to do one thing: prompt tears over the tragic life and near death of a young woman. One feels sad for her husband and family--and believe me I truly do feel sad for her family. I also feel angry. I am not angry with Maynard. What bothers me is the knee jerk reaction and out pouring of pity. She has complete and total support via superficial outlets such as People magazine and just about every television talk show and news program. Maynard has created the perfect media firestorm. The fact she has not added anything new to the debate for or against assisted suicide does not mater. The viral nature of her story is perfect for contemporary news cycles. Her story over the next few weeks will reach a fever pitch with a perfect ending. Her death. Should she choose not to commit suicide she will slip into oblivion--her proverbial 15 minutes of fame used up. I wish I could say I am surprised by how positive the reaction has been to Maynard. She is ever so brave! Sorry but I do not think so. I think she is blatantly trying to push legislators to pass legislation now. How exactly can you say no to this woman if you are a politician and plan on getting re-elected? Six million people have seen the below video. The comments have thankfully been disabled. Aside from being manipulative, I cannot helped but be struck by the privilege involved. Maynard has a wander lust for travel. With a dreadful sound track she said she and her husband were actively trying to conceive a child. She has a wanderlust for travel says her mother. She vacationed in the wine country. She went to Yellowstone with a friend. She went to Denali National Park and met her mother in Juneau. She hopes to go to the Grand Canyon. I am glad Maynard was able to make all these trips and hope she gets to see the Grand Canyon. I wonder though how many other people with terminal illnesses have a comparable experience? I would suggest the majority of people with a terminal illness spend a lot of time on hold arguing about what treatments are or are not covered. I know I sure as heck have had to fight long and hard with insurance companies over my health care. To reiterate: no new ground is being broken by Maynard. What is different is the timing and imagery that make her story impossible to ignore. Many tears will be shed in an effort to quickly push through assisted suicide legislation. Who wants to have a serious debate about end of life after having their heart broken? We do not need thought we need action and we need action now! Maynard is sure to remain in the news for the rest of October. If she does indeed commit suicide the story will continue for a finite period of time but not interfere with Thanksgiving day football games. Her funeral will no doubt provide equally emotional visuals. I am not thrilled to pen these words--they are hard in the extreme. I am sure she believes the passage of assisted suicide legislation will give her short life meaning. I understand this sort of reasoning. While I am not dying, I get tremendous satisfaction advocating for other people with a disability. Lost in the sea of raw emotion is the simple fact there must be a counter point. For me that counter point is the unwillingness to consider even the most ill or most disabled lives have value. Maynard is unwilling to explore a different, albeit very short, life experience. In the video above, Maynard's mother stresses how she wants her daughter to be autonomous. Autonomy here is very narrowly defined--a typical life. The typicality requires an average life expectancy, happy marriage, kids, employment, and travel. I have enjoyed many of these wonderful aspects of life. Raising my son and watching him turn into an adult has been and remains the best part of my life. I too have traveled extensively. I have done all this with an atypical body. Never as a young boy could I have imagined life as a paralyzed man. But paralyzed I am. I have led a good life knowing my mere presence was too often unwanted and onerous to others. I have encountered barrier after barrier both physical and social. The world is not designed for people like me. The point is Maynard and others who support assisted suicide cannot imagine the life I have led and enjoyed. The lack of imagination on the part of others when they see me deeply bothers me. I know what most people think: paralysis is bad. Using a wheelchair is a fate worse than death. Terminally ill people that want to die are brave souls! People with a disability that want too die are brave too. I could never live that sort of life. This emotional reasoning is devoid of logic and the ability to adapt is wildly wrong. It is living that counts. All humans are intrinsically valuable--that includes Maynard, myself, people who are terminally ill, elderly and disabled. In short I reject the romance Maynard has with dying. I rail against a society that applauds people like Maynard who want to die and at the same time undermine the ability of those that need social supports to live a good life. What Maynard is turning her back on is the interconnectedness of all people. A good death need not involve a lethal prescription and advocacy for "an old war horse" like Compassion and Choices. A good death can be achieved in a multitude of ways. I can say the same thing about life. There many paths our lives can take and I for one find it sad Maynard has knowingly allowed herself to become the face of the so called right to die. I would rather be known for how I live not the way I died. "But here is a simple truth that many of us seem to resist: living too long is also a loss. It renders many of us, if not disabled, then faltering and declining, a state that may not be worse than death but is nonetheless deprived. It robs us of our creativity and ability to contribute to work, society, the world. It transforms how people experience us, relate to us, and, most important, remember us. We are no longer remembered as vibrant and engaged but as feeble, ineffectual, even pathetic." Clearly disability is bad. I am surprised to learn I am not creative. I am surprised to learn I cannot contribute at work or to society. I am surprised to learn my life has been devoid of vibrancy. I am surprised to learn my life has been one of deprivation. A few things do not surprise me. I am not surprised to a well-known bioethicist has such an overwhelmingly negative view of life with a disability and the aging process. I am not surprised that my life as a man with disability may or may not be worse than death. I am not surprised by the anti disability and ableist rhetoric. I am not surprised I am treated differently as a man with a disability. I know this because people, generally strangers, tell me they would rather be dead than use a wheelchair. For Emanuel, there is only one way of living, that is a life with typical physical ability and typical cognitive functioning. I would fail the test for fitness Emanuel refers to conducted by Eileen Crimmins. An assessment of physical functioning includes the ability to walk ¼ of a mile. I fail. Climb ten stairs. I fail. Stand or sit for two hours. Half a failure. Stand up. I fail. Bend and here I assume being bipedal is required. I fail. Kneel with out special equipment. I fail. My failure is physical. Society’s failure is how disability is framed. Simply put, society demands normalcy. I reject this via a life time of adapting to a body that is atypical. Each and every physical deficit described by Emanuel as fit can easily be adapted to and, for lack of a better word, overcome. Aging and disability are terrible. Emauel described his father in the following paragraph. Our expectations shrink. Aware of our diminishing capacities, we choose ever more restricted activities and projects, to ensure we can fulfill them. Indeed, this constriction happens almost imperceptibly. Over time, and without our conscious choice, we transform our lives. We don’t notice that we are aspiring to and doing less and less. And so we remain content, but the canvas is now tiny. The American immortal, once a vital figure in his or her profession and community, is happy to cultivate avocational interests, to take up bird watching, bicycle riding, pottery, and the like. And then, as walking becomes harder and the pain of arthritis limits the fingers’ mobility, life comes to center around sitting in the den reading or listening to books on tape and doing crossword puzzles. I am not saying that those who want to live as long as possible are unethical or wrong. I am certainly not scorning or dismissing people who want to live on despite their physical and mental limitations. I’m not even trying to convince anyone I’m right. Indeed, I often advise people in this age group on how to get the best medical care available in the United States for their ailments. That is their choice, and I want to support them. And I am not advocating 75 as the official statistic of a complete, good life in order to save resources, ration health care, or address public-policy issues arising from the increases in life expectancy. What I am trying to do is delineate my views for a good life and make my friends and others think about how they want to live as they grow older. I want them to think of an alternative to succumbing to that slow constriction of activities and aspirations imperceptibly imposed by aging. Emanuel ignores the power of his words. We do not live in a social vacuum nor is our decision making process free of outside influences. Emanuel is correct in that no one openly scorns a person like me or an elderly person. Instead we kill them with kindness and maintain their life on the precipice of disaster. As Mary Johnson wrote in Make Them Go Away: Clint Eastwood, Christopher Reeve, & the Case Against Disability Rights, no one wakes up thinking I am going to discriminate against the disabled. We good hearted people and care about the handicapped and elderly! Sorry but no. Society does not value our existence. The backlash I experience when I assert my civil rights or when people who are elderly demand to be treated equally is about fear. Emanuel’s article to me is about fear as well. People fear aging and the end of life. In response to that fear end of life has morphed into a right to die. This is what happens when the normate to use Rose Marie Garland Thomsen’s awkward word, dictate and set the terms of the debate about aging and disability. Disability becomes the ultimate fear—a fate worse than death. Based on my life as a paralyzed man for the last 38 years I can assure others there is nothing to fear. Disability is not necessarily bad and aging is merely a biological inevitability. All who are born will die. This is a given. It is the way we adapt to life that is most important. All people when given the chance have something to contribute.